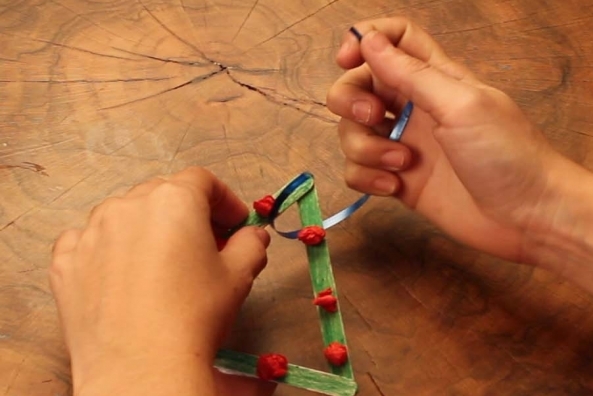 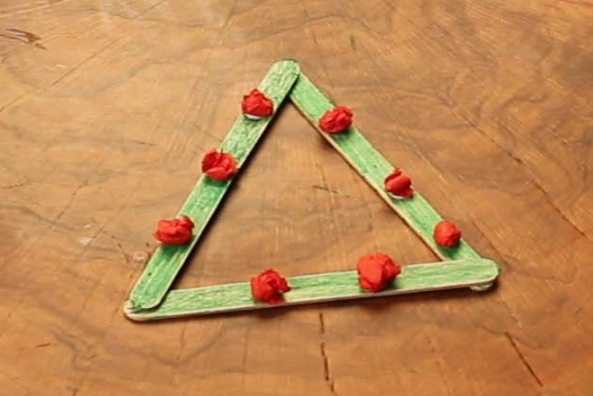 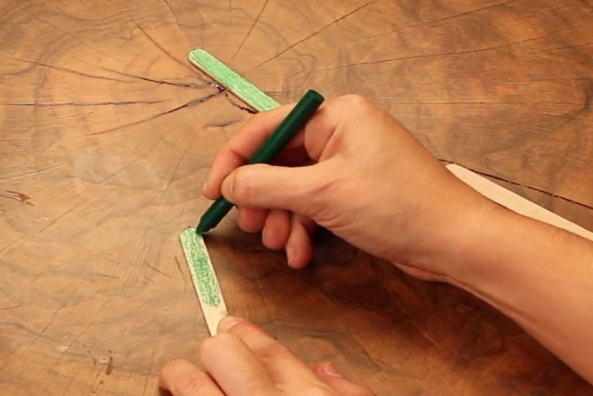 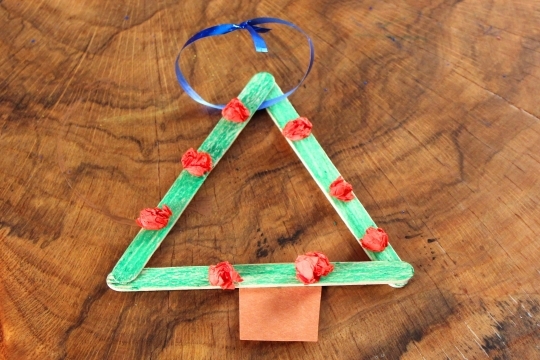 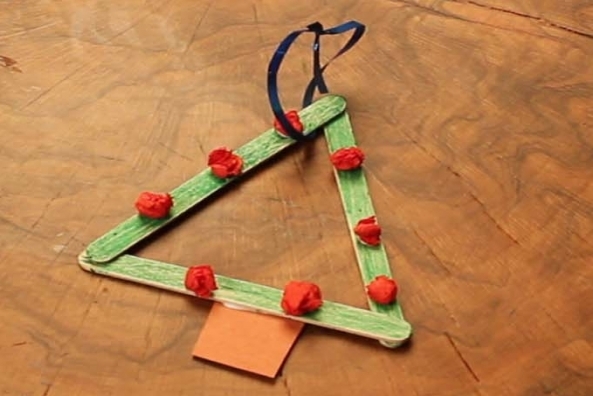 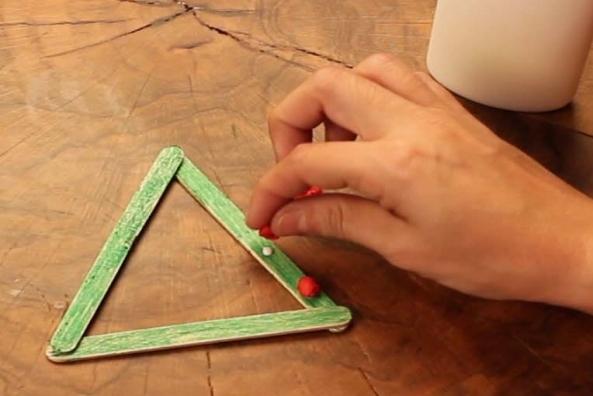 Use craft sticks to decorate your Christmas tree with homemade ornaments. 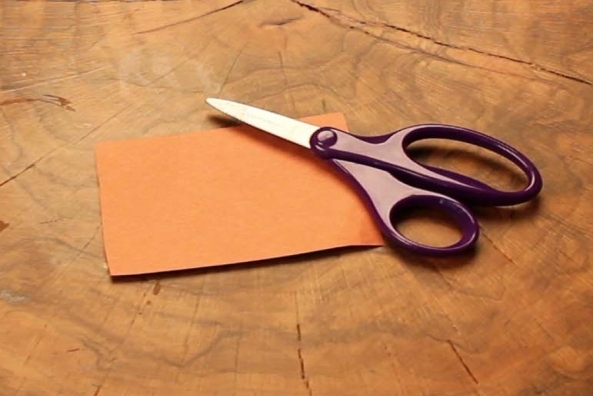 Do you have a special ritual for taking down your Christmas tree? 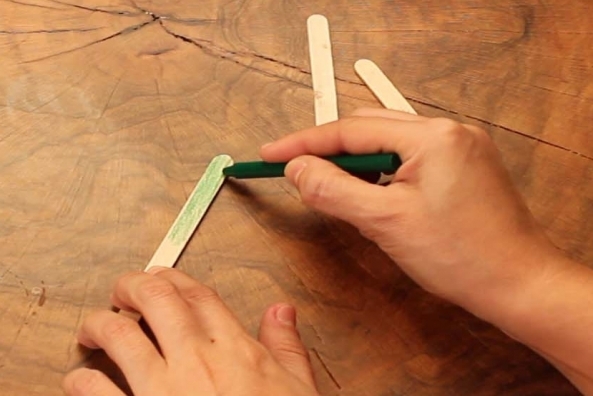 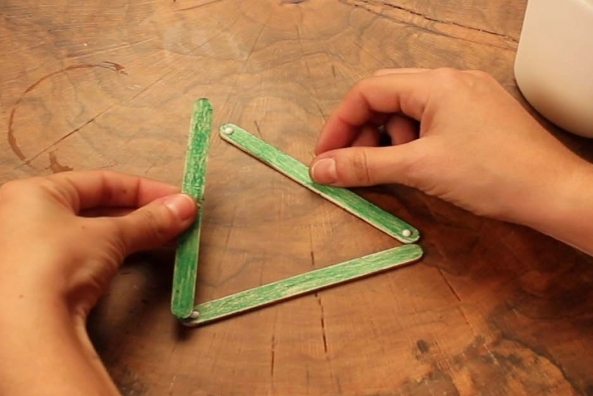 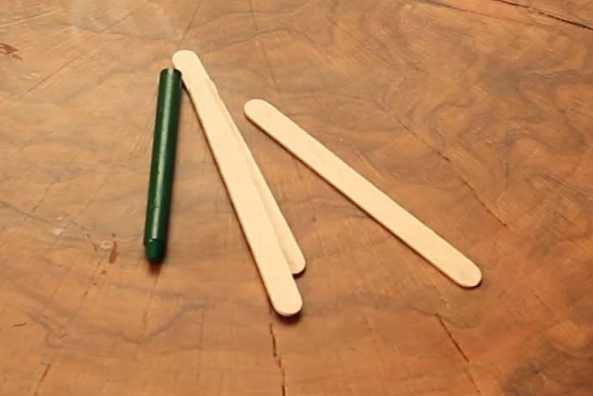 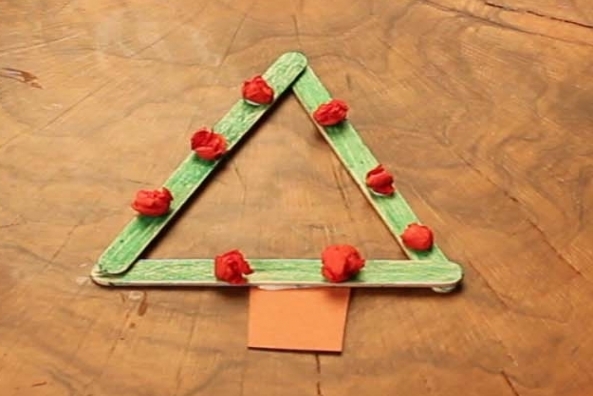 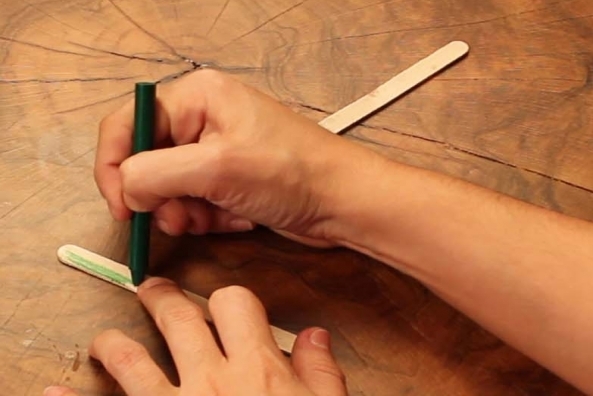 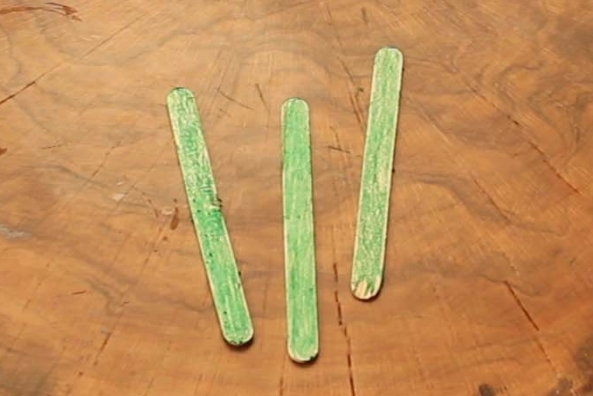 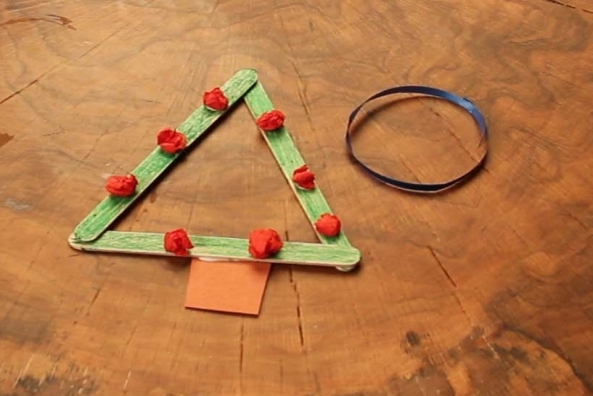 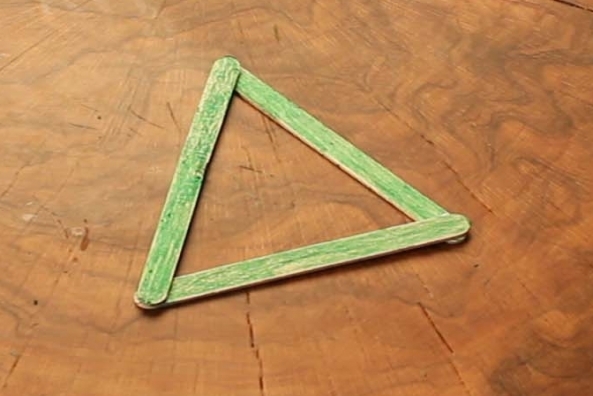 Collect three craft sticks and color them green. 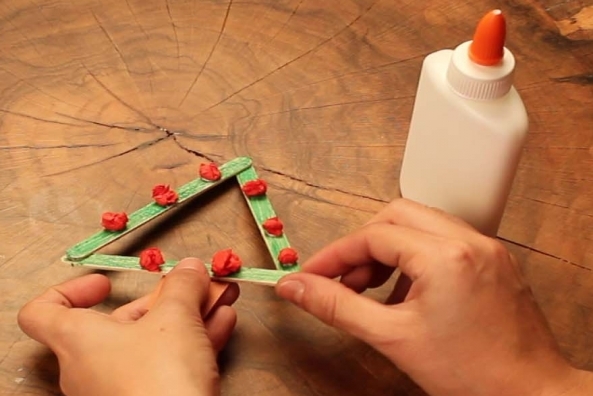 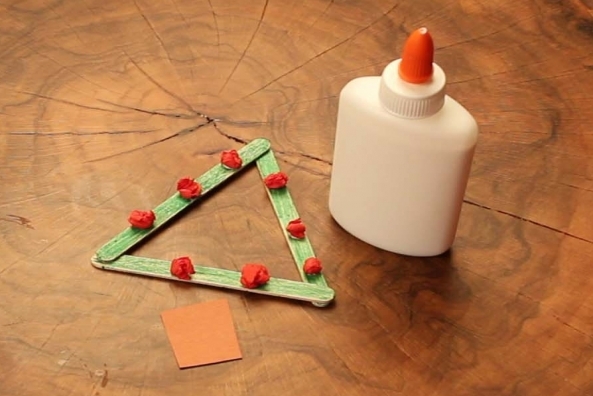 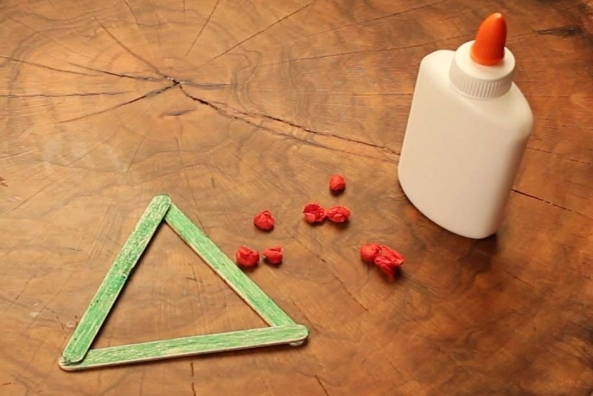 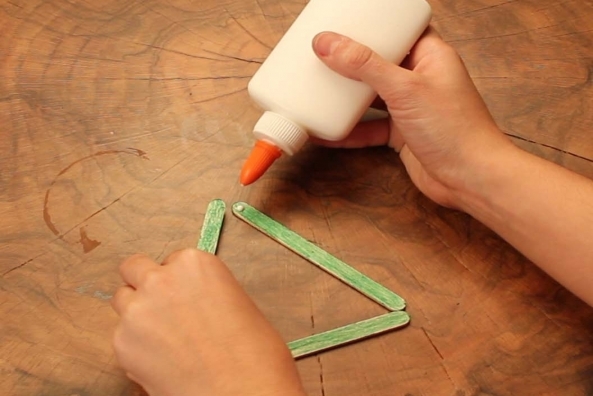 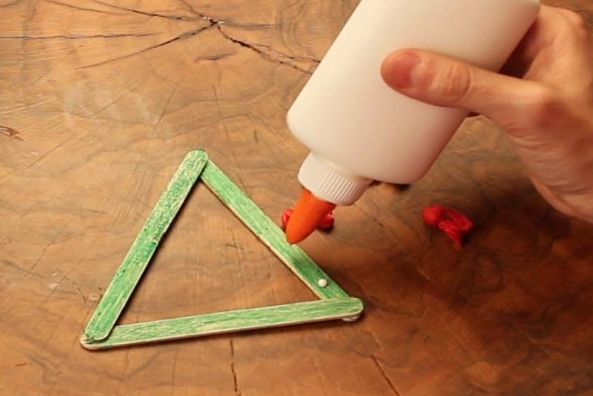 Glue them in a shape of a triangle. 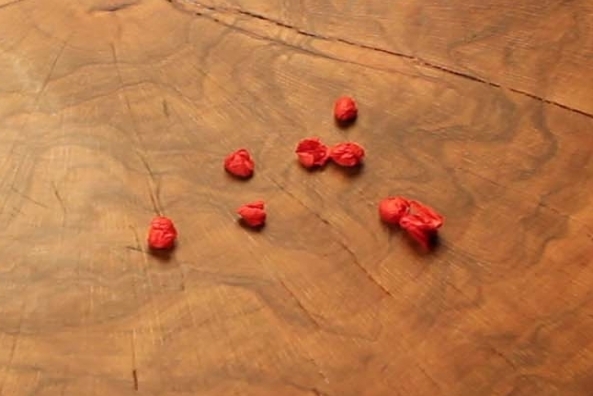 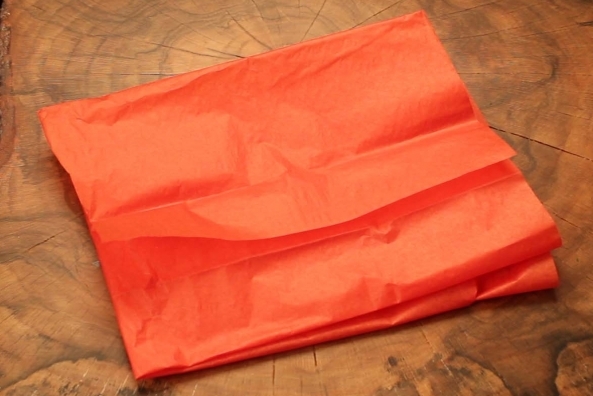 Rip a few pieces of red tissue paper and ball it up. 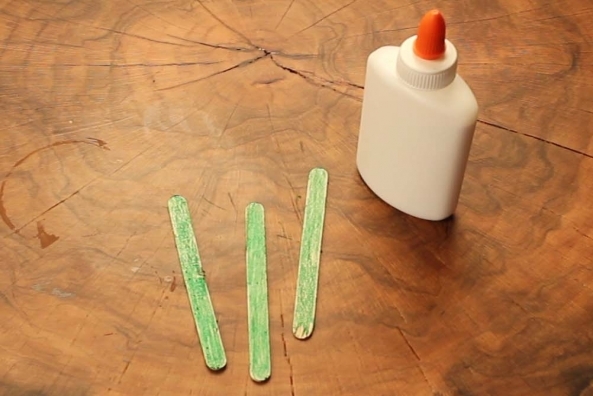 Glue the tissue balls onto the craft stick. 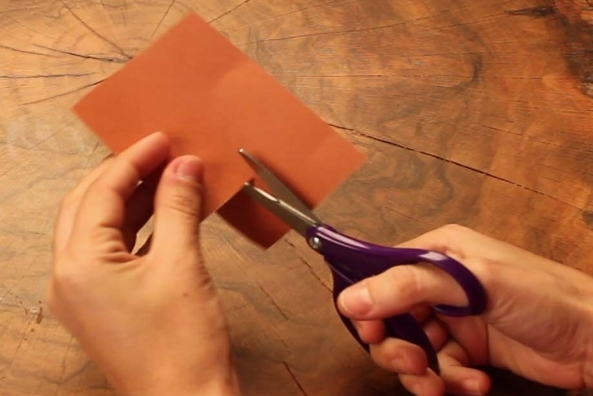 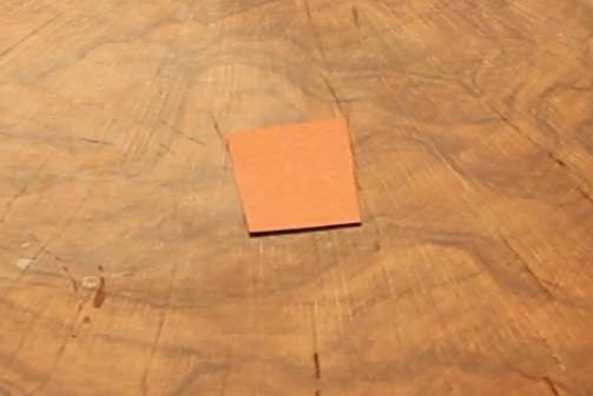 Cut a rectangle out from a piece of brown construction paper. 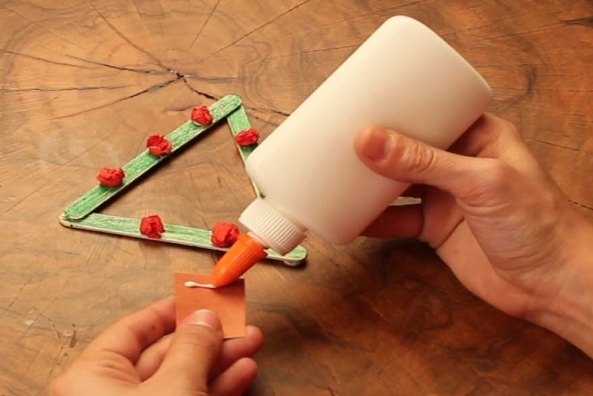 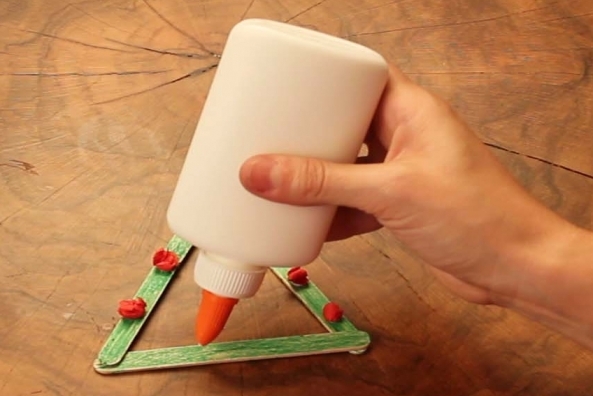 Glue the rectangle onto your tree. 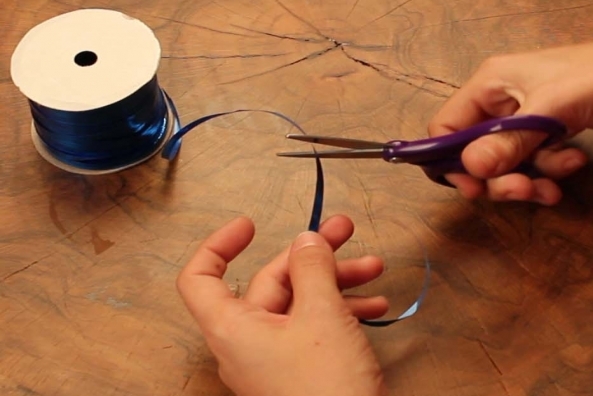 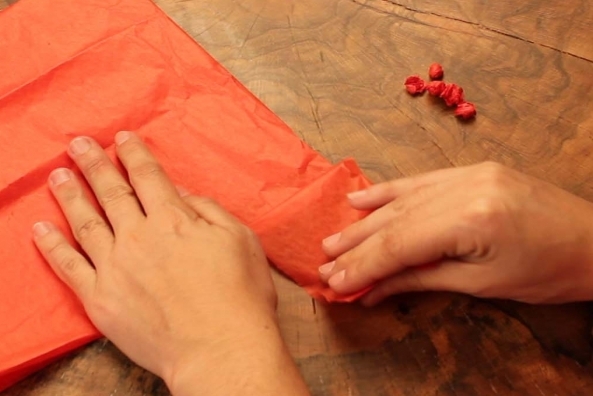 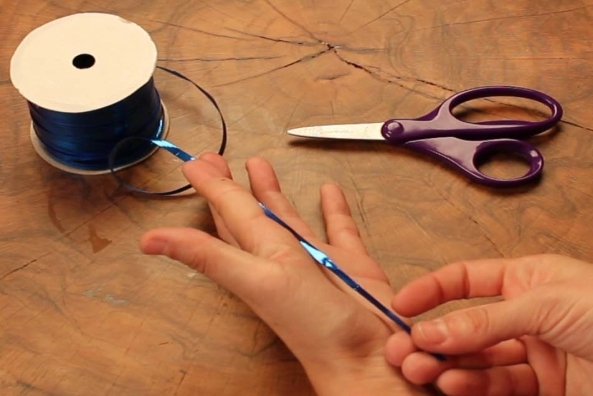 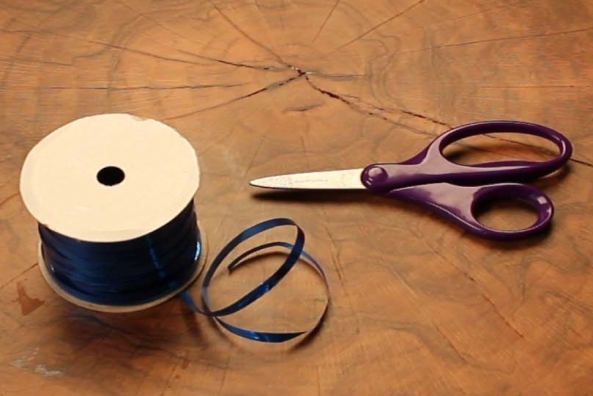 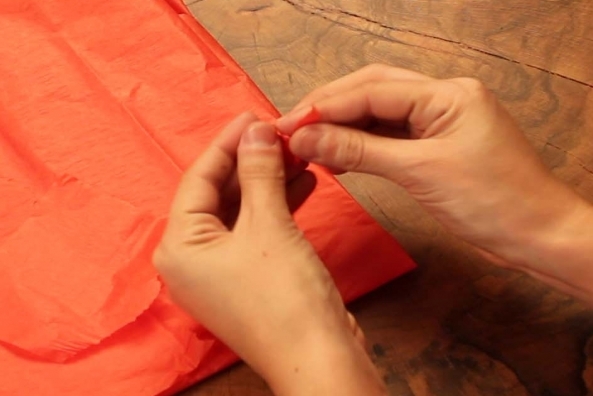 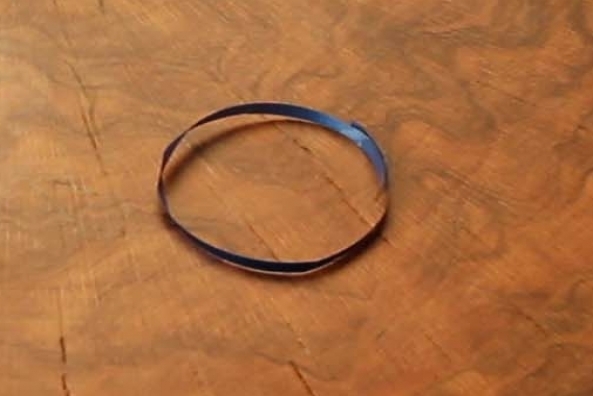 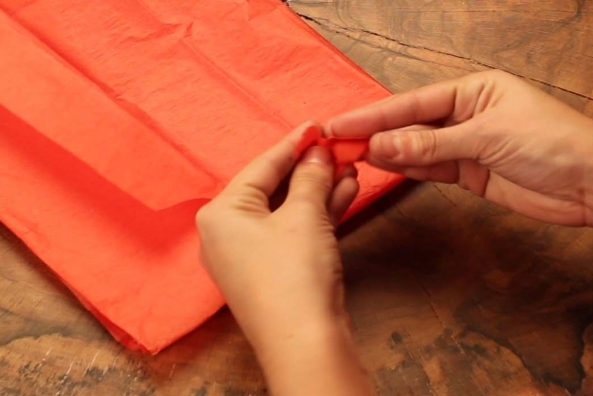 Cut a piece of yarn around your hand’s length. 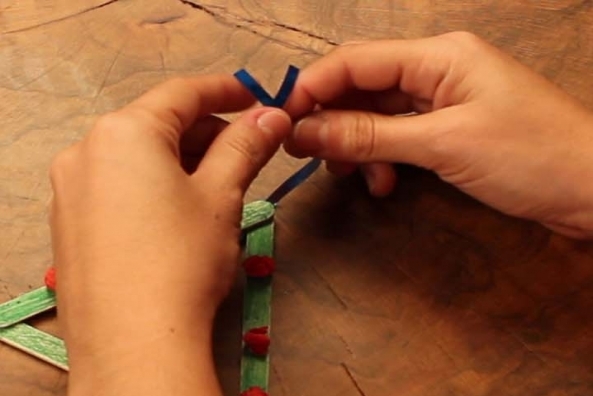 Tie the yarn in a loop with the triangle inside.